Project Life is a different approach to memory-keeping and scrapbooking that was created by Becky Higgins to simplify the process so that you have more time to actually enjoy life! This approach can appeal to many different types of people, as it requires no glue, scissors, tools, or creative skills of any kind. It’s a plug-and-play approach that gives you pre-made designs, journaling and filler cards, and embellishments so that you spend less time scrapbooking and more time living. 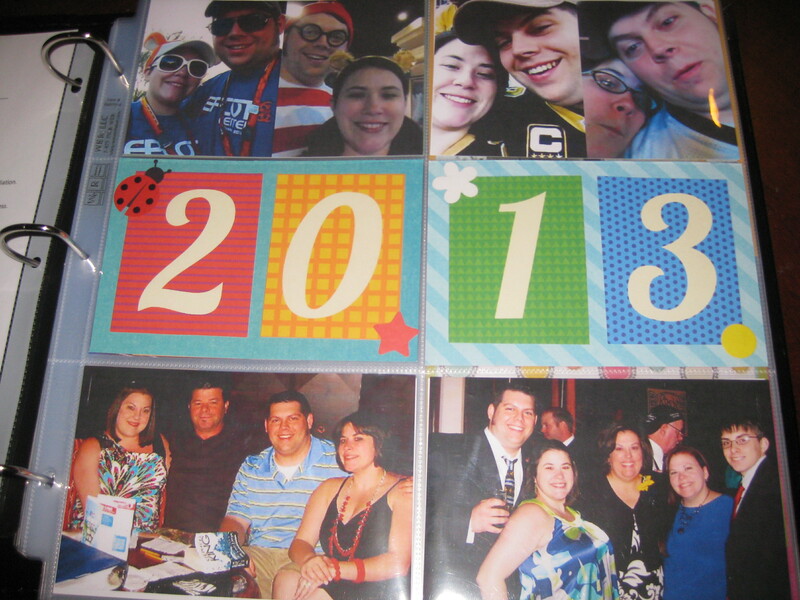 Personally, I never thought I had time for scrapbooking, as much as I love doing it. I’m a really busy person, and dealing with printing pictures, figuring out layouts, buying the tools, and everything else that goes into scrapbooking is overwhelming. I’ve been looking for something that is quick and easy that will allow me to document events while at the same time fit into my busy schedule. Project Life has done that for me! 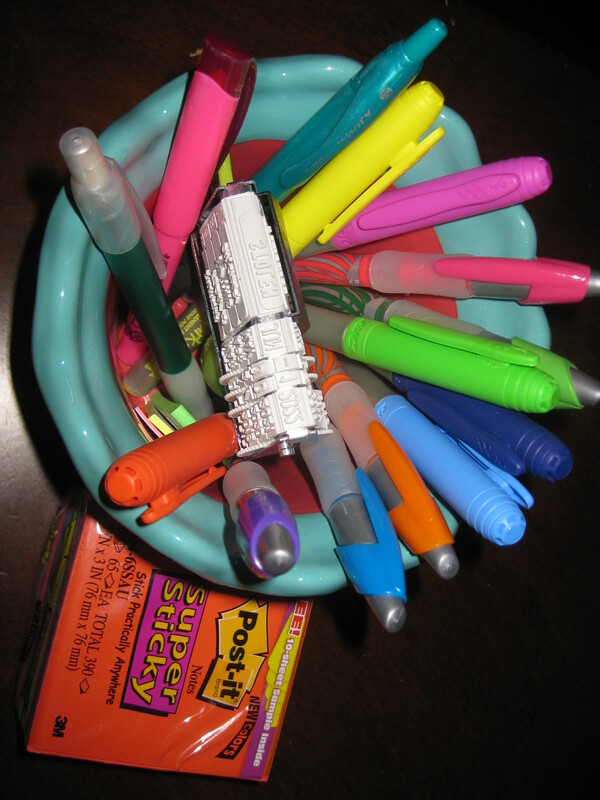 Learn more about Project Life and Becky Higgins here. Project Life is simple. Just take pictures every day (you may or may not end up using them), and make sure you keep the little mementos such as playbills, movie tickets, napkins from weddings/birthday parties/events, newspaper/magazine clippings, receipts, to-do lists, etc. 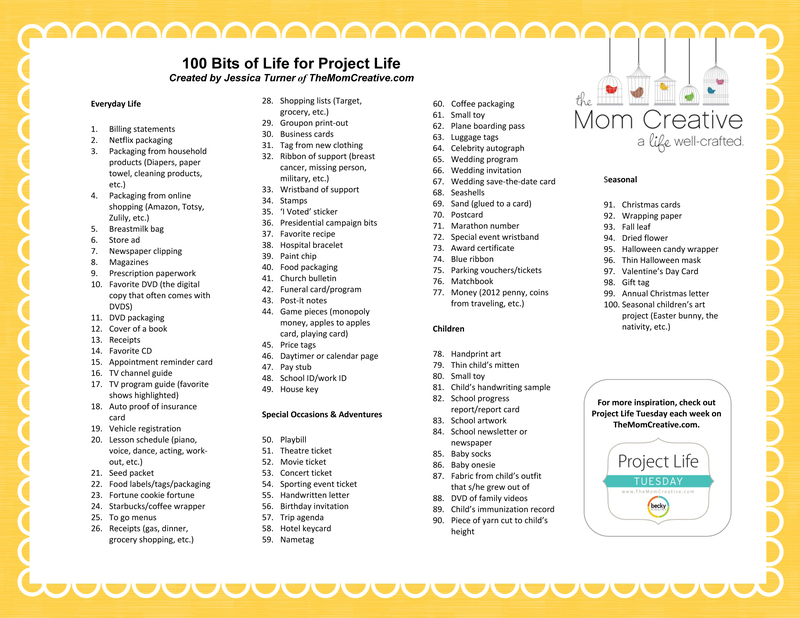 Here is a great list of 100 bits of life from The Mom Creative to help you get started. You will need to decide whether or not you want to go digital. I’ve decided to go a different route by creating this blog, which acts as my digital Project Life album, as well as creating a physical scrapbook. Note that going the digital route is more cost effective but is also a little more time consuming. You can choose to go the traditional digital route as explained on Becky Higgins’s web site, or you can go a non-traditional route by creating a blog or your own web site like I did. You will also need to decide how you want to approach your layouts – daily, weekly, monthly, etc. 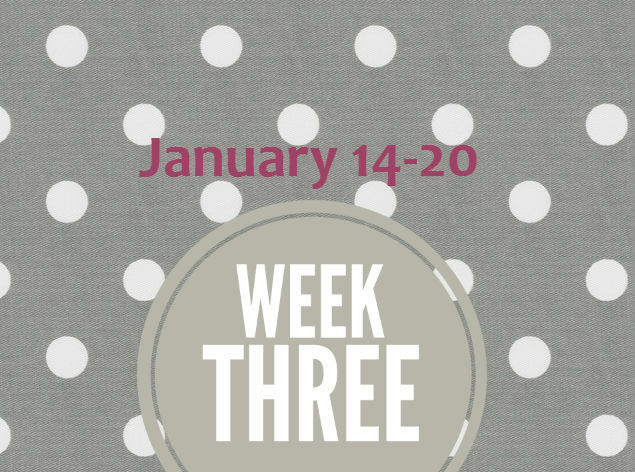 Most people who do Project Life decide to do a weekly layout, and that’s what I’ve decided to do as well. You can choose to buy a core kit from Becky Higgins, whose products are available on Amazon.com, or you can collect your own supplies. I decided to collect my own, buying everything from Target. This way is more flexible and a little cheaper. You will also need to decide on a theme. 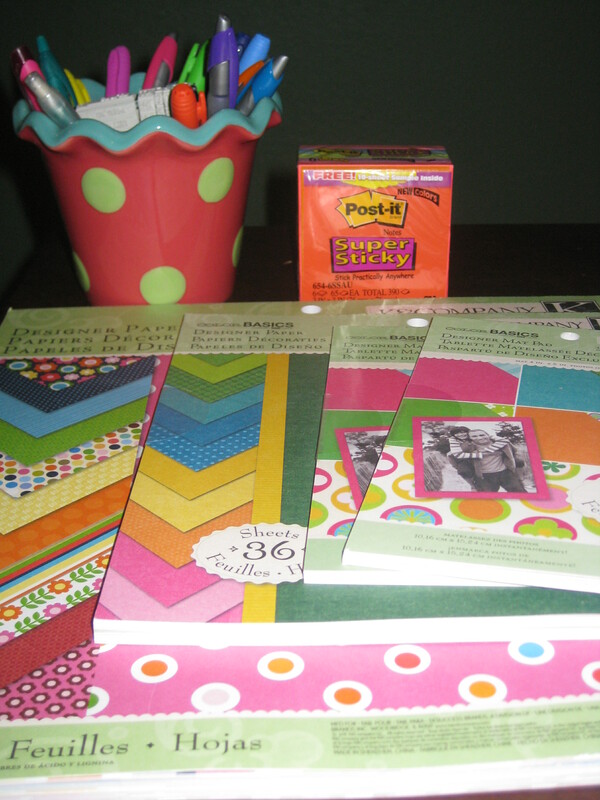 I like bright colors, polka dots, and girly modern patterns. Your theme can be anything you want; you just need something that will tie your album together. The sticky notes are important because it will help you pre-plan and organize your weekly layouts. This comes in especially handy if you get behind a few weeks (as if you’re anything like me, you’re bound to do). I wanted to include my family since I’ve deemed this “the year of the Huber.” This is a basic layout of six 4×6 pictures. I Photoshopped the top four pictures into two 4×6 pictures. The “2013” came from this template. I cut out the individual numbers and glued them onto colored scrapbook paper. I had the ladybug, star, flower, and circle cutouts already, and since they happened to match the color scheme, I decided to include them. The most time consuming part of this was Photoshopping. Once the photos were complete, all I had to do was print and slip them in! 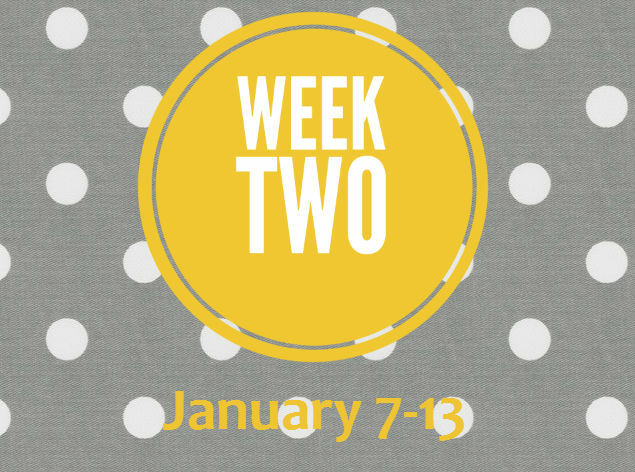 As you can see, I use the same background and basic design, but I move the circles around each week and change the colors. This allows me to tie the album together while at the same time giving each week a unique design. You can find other examples of weekly title cards on Pinterest and through Google search. Everyone has a different style, and the possibilities here are endless! 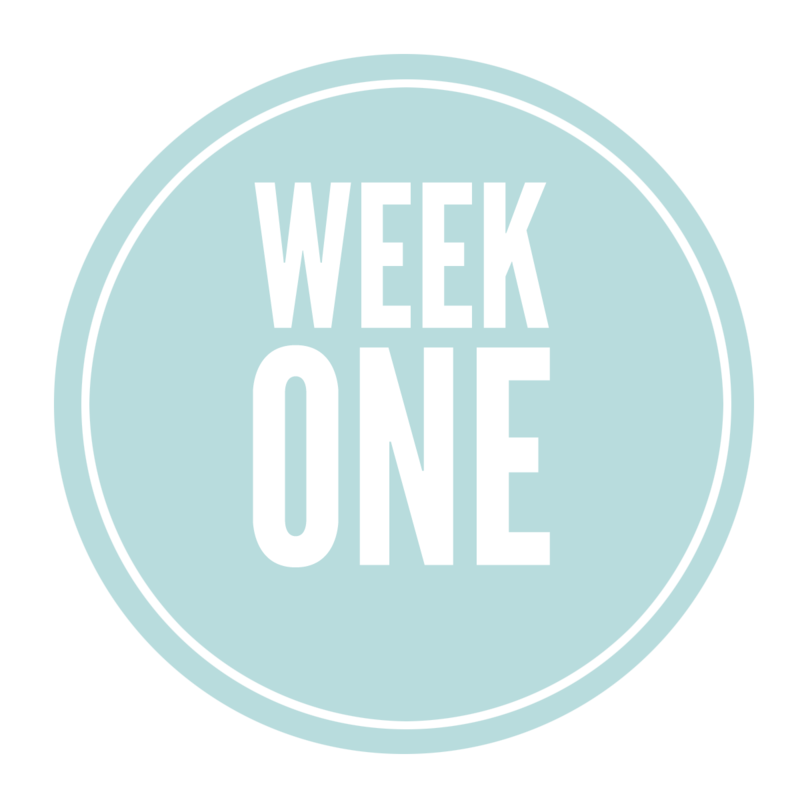 Once you have all the basics together: your binder, photo layout page protectors, other supplies, title page, and weekly title cards, you can begin documenting your life! I like to plan out my layouts prior to printing and placing them, as I don’t want to waste paper and ink printing things that I then decide I don’t like or that I want to put somewhere else. 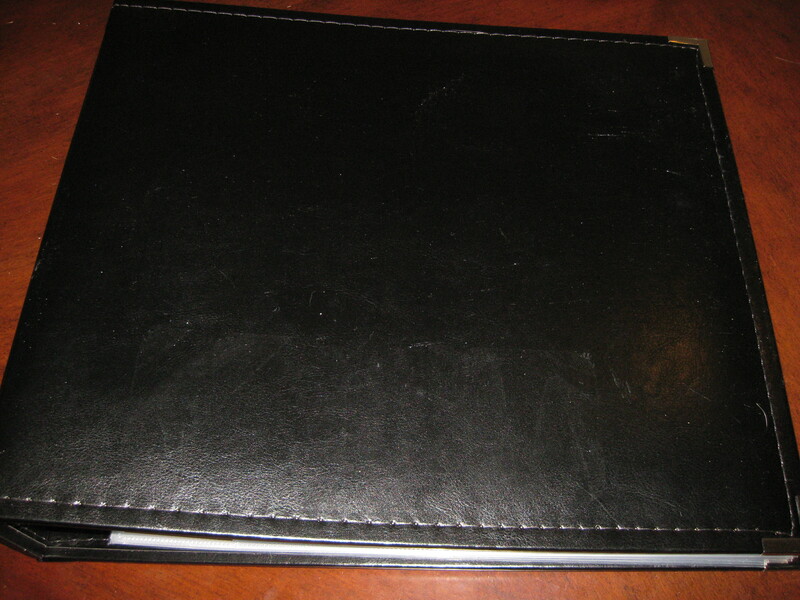 Each week, I take the page protectors out of the binder and decide which type of layout I want to use. Most of the time, the type of layout I choose is based on the types of pictures I have. For example, if all of my pictures are landscape, i.e. sideways, I might choose a traditional six 4×6 side by side layout. If I have some pictures that are portrait, i.e. up and down, I might choose a different layout. 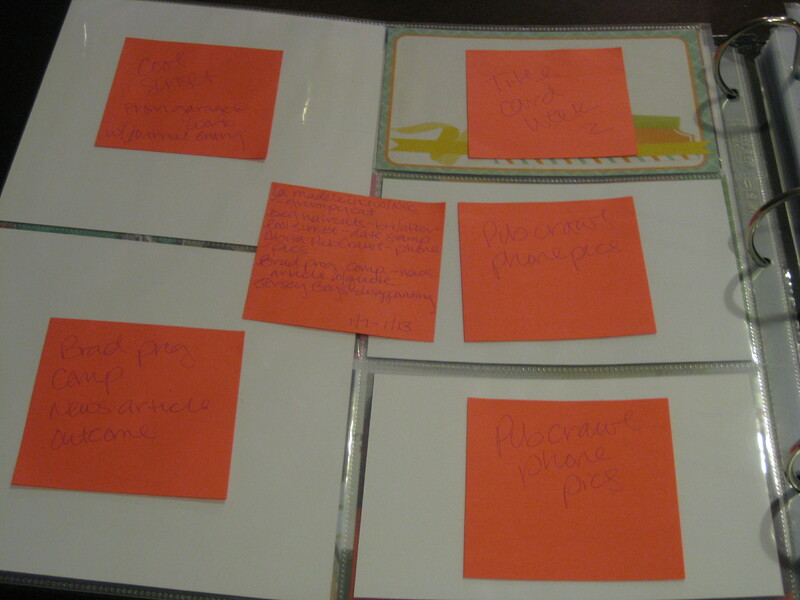 After you’ve selected a layout and considered what pictures you have, use your sticky notes to decide where you might want to place the pictures and journal cards. This will also give you an idea of how many filler cards you will need (if any). Sticky notes are the easiest way to plan your layout, because you can easily move them around until you have a layout you like. I also make notes on my stickies of mementos or other embellishments I want to include. As you will see, I like using labels as tags on photos, and these notes help me to remember what I wanted to document. Even if you don’t have the time to actually print and make your pages, you should at least take a few moments each week to write the different events/notes/pictures you want to use on stickies and just stick them anywhere in your binder. This way, when you come back later to complete your pages, you won’t forget what you wanted to do. The way I approach my weekly layouts is to go through the pictures I took during the week first and figure out which ones I want to use. Then, I look at my planner to remember what happened during the week. I try to keep little notes in my planner each day documenting things that I want to remember, like quotes from people, memorable moments, things I laughed at, things I liked, things I hated, and anything else that strikes my fancy. Once I’ve collected everything I want to document, I make a sticky for each picture, journal card, and event and include notes, and I stick them in my Project Life binder. When I’m ready to put the page together, I arrange the stickies until I have a layout I’m satisfied with, and then I print my pictures, write on my journal cards, and slip them in! Project Life is meant to be simple. It’s not meant to be overwhelming or time consuming. Find an approach that works best for you and use it. Your album doesn’t have to be the prettiest or most elaborate (although it can be if you have the time!). It’s about documenting the great moments in life that you always want to remember and that you want to pass down to your kids and grandkids. 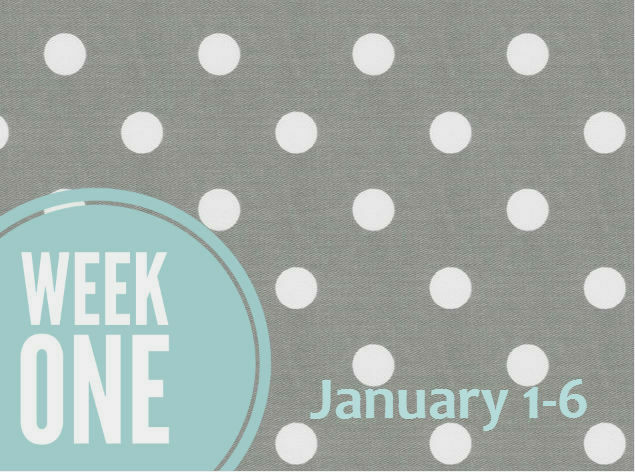 I’ll be posting my layouts from week to week as well as the templates I’m creating for myself. And yes, for free! Hopefully, the things I create can save you some time later. Be sure you check my Comprehensive List of Templates periodically for new things! Are you doing Project Life? Do you have ideas, templates, or a blog? Link up here and share your stories! Tags: Freebies, Project Life, Templates. Bookmark the permalink.